A roof replacement is one of the biggest investments any homeowner will make. So, it pays to know the different roofing materials and their advantages. Timberland Exteriors is your general construction company in the area, and today we offer some tips to help you choose well. Traditional and beautiful wood has lost its popularity because of rising concerns about fire. In the visual aspect, however, wood is still top choice. Wood shakes are thick and have a rough, split surface; wood shingles are thinner and sawn flat. Wood shakes and shingles perform well in dry climates and some shakes have a 50-year warranty. Thicker shakes perform better in hail-prone areas. Also called asphalt shingles, they are the most popular residential roofing material today. They consist of a fiberglass mat between two layers of asphalt. Embedded granules protect them from the sun’s damaging UV rays. Basic three-tab shingles look like three small shingles because of slits in the front. 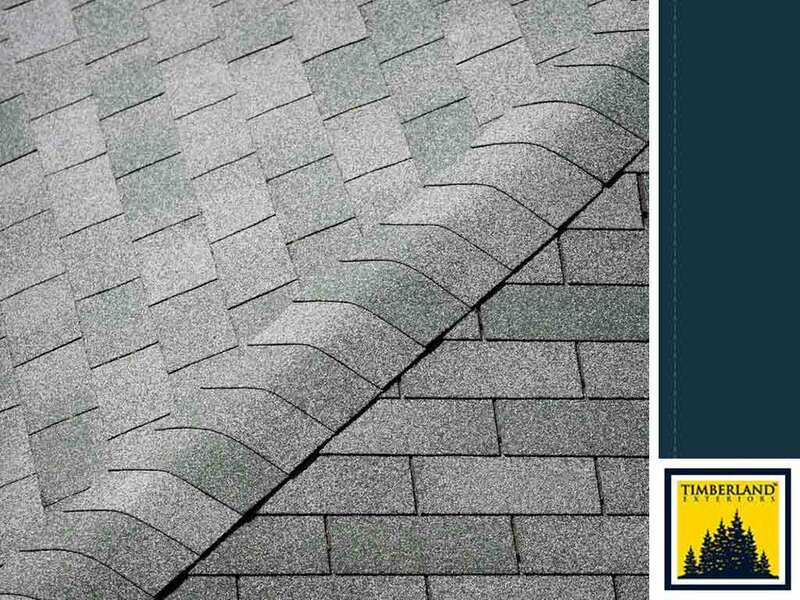 Architectural shingles are thicker and longer-lasting, with no slits where debris can collect; many prefer this type for its more textured look. Asphalt shingles are inexpensive and have good fire resistance. Some types come with wind warranties up to 130 mph and are suitable for hail regions. Optional zinc or copper add-ons inhibit algae growth. Every home remodeling contractor, like Timberland Exteriors, knows how to install them. Metal roofing is no longer exclusive to commercial and farm buildings. Standing-seam metal panels and tiles are now the fastest-growing residential roofing material. Some metal panels can span from roof ridge to gutters without a seam because they can be made into a broad “sheet” of up to 20 feet wide without losing its strength. Other types include metal tiles, which mimic the look of wood shingles or shakes. Metal roofing is very durable that some even come with lifetime warranties. They have exceptional fire, wind, and hail resistance and need little maintenance. For roof replacement or exterior home remodeling services, turn to Timberland Exteriors. You can count on us to give you the best value for your money. We have been serving residents throughout Minneapolis, MN for more than 15 years. Call us at (952) 373-5145 for free inspections and consultations.